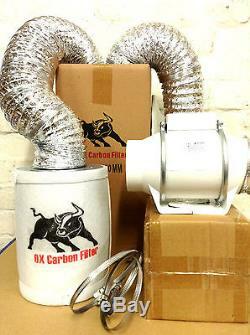 This has to be the best grow kit to date, very simple to use and comes complete with all the best kit, Now with the Super Hornet Coco A+B plant feed pack, Canna Coco + Pebbles, Canna PK13-14, Light Hangers, Budda Room grow tent and the one and only OX Carbon filter (to stop smell). Please read below for the full grow kit list. 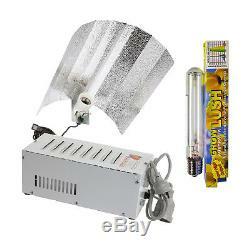 1X GROW TENT ROOM XL DOUBLE HEATSTOP MYLAR SILVER. Size 1.2mx1.2mx2.0m. Never taken out the box straght from our warehouse. Can be constructed in 5 mins in all most any space Full instructions Heavy duty zips Passive air intakes with lightproof baffle flaps active air intake with pull cord so it fits all ducting extraction also with pull cord Double pockets for ph metres ect Two large lightproof electrical ports to the rear Velcro quick fastenings to keep cables tidy and out the way Sturdy metal frame that just clicks together Freestanding Very strong hard wearing durable material will last for years. COMPLETE 400WATT LIGHT SET UP WITH CE STAMPS. FREE EASY ROLLER LIGHT HANGERS With this kit! 1 X 400 WATT HPS LAMP. 1 X 400 WATT LIGHT SHADE. 1 X 400 WATT POWER PACK ALL READY TO RUN. Unlike traditional plastic pots, root pouches allow water and air to flow through its structure nourishing the root of the plant. Made from a mixture of PET (recycled plastic water bottles) and natural fibers to creates a mesh like surface. Once roots reach the fabric they become entangled and trapped. This signals the plant to send out new roots. Thus creating super dense, fibrous healthy root systems for plants. Root Pouch containers achieve a superior root system over the traditional plastic pot. 1x A+B 1L COCO Hornet Plant Feed. Always use Hornet Plant for the biggest yield possible Staggering results every time. 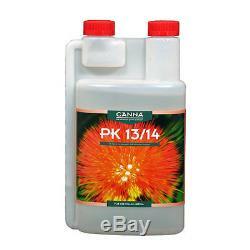 1x Canna PK-13/14 250mls This is the final palnt booster, just to get you that extra bit more from your plants. 1x 25L Bag of Clay Pebbles Please note to get the best of both worlds this will be a split bag re-bagged they help roots of your plants grow bigger and stronger, but at the same time hold that extra water for when the plant needs it. 1x 25L Canna Coco Peat Please note to get the best of both worlds this will be a split bag re-bagged, when you want the best we give the best, Canna is hands down the best stuff to grow your plants in its clean ph save and from Holland with love. Please feel free to ask any questions regarding our product. Details below will help all customers with the order process. Scottish Highlands Offshore Islands, Western Isles, Channel Islands, Isle Of Man, Isle Of Wight & Ireland. OUR OWN TELEPHONE SYSTEM Tel: 02476 641033. We are here to HELP with all orders/payments and product information. We also accept all major credit and Debit cards, payments via. Monday to Saturday come and see us any time. The item "Grow Tent 120 & Grow Light 400w & 4 Fan Kit & Canna Coco complete set up kit" is in sale since Monday, May 23, 2016. 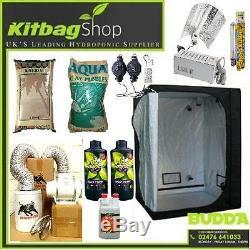 This item is in the category "Garden & Patio\Hydroponics & Seed Starting\Other Hydroponics". The seller is "kitbagshop" and is located in Nuneaton. 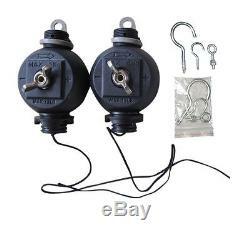 This item can be shipped to all countries in Europe.